DIRTY DOUG’S ESSENTIALS. Small batch condiments. In the Summer of 2016 Michelle Dilevski found herself with a bumper crop of over 40kg of homegrown tomatoes. She and her partner Scott put them to good use in a massive batch of tomato relish, using Scott’s grandmothers family recipe which had been passed down through six generations. Michelle and Scott lost count of the number of jars made and given away. Over and over the response from friends and family was “Go into business and start selling this.” Knowing they had a great product, they decided to do just that. The business would be Dirty Doug’s Essentials. Since completing her NEIS training Michelle has taken care to make the most of her time in the tasks she really enjoys. She’s happy making the trip to Melbourne’s Epping Market every week to source produce, rather than running around here, there and everywhere. Michelle is responsible for the quality of the ingredients; while Scott is in charge of smoking the chillies, tomatoes and other ingredients that require the low and slow smokey flavour incorporated into some of the range of this family business. Michelle and Scott love engaging directly with their buyers at markets, and their customers appreciate being able to talk directly with the makers! The range changes, with new products occasionally introduced to meet customer demand. With constant requests for spicier products for instance, Dirty Doug’s now incorporate fresh extreme heat chillies from Queensland in their Extreme Heat Beer Nuts and Doug’s Heat Seeker sauce. Their relishes and sauces are excellent pairings with meat, but many are vegan-friendly too. 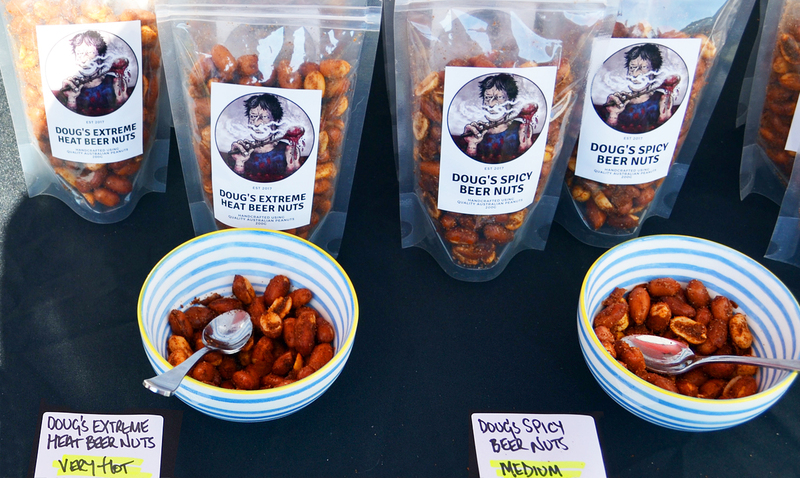 Dirty Doug’s Essentials has seen solid ongoing growth, hitting many exciting milestones, including producing 1/2 tonne of cooked beer nuts in their little oven! 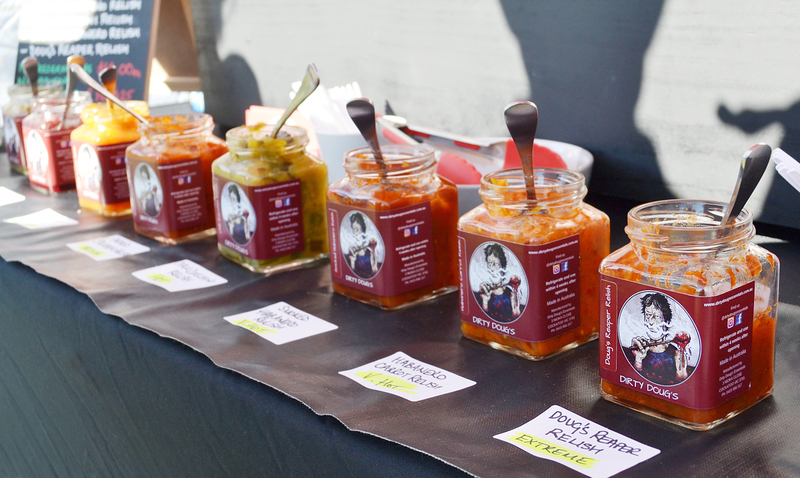 While most sales are direct at markets, they’ve recently branched out into attending food festivals. 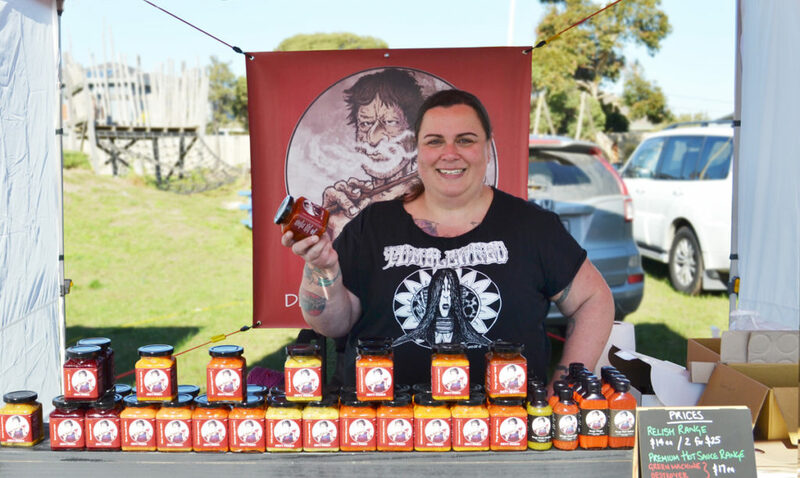 The Herb Chilli Food Festival and Meatstock Festival, both on the same weekend, brought in total earnings across both of well over $5000 AUD. Michelle laughs, “Did I have to cook like I only had two weeks left to live – indeed I did – but it was worth it!” Since that weekend the business has received online sales every week, as well as business-to-business orders. Do you have a great business idea? Take the first step to becoming self-employed with free NEIS training. Use the postcode search tool to locate your nearest NEIS provider for a chat.